BAMAKO, Jul 7 2015 (IPS) - The recent peace agreements in Mali offer grounds for optimism. It’s now time to capitalise on the accord to accelerate recovery, reconciliation and development. An important part of that process will entail placing the country’s youth at the center of the country’s agenda for peace and prosperity. With its youthful population and track record of civil crises, Mali is the perfect case study on the relationship between youth and stability. Mali’s fertility rate is second only to Niger’s. The youth of today mix identities, from the traditional to the modern and need to be accompanied and mentored as they define their sense of self. Yet in a country that doesn’t provide jobs, opportunities for decision-making and a sense of purpose, this youth bulge is more likely to be a powerful demographic time bomb rather than a driver of economic growth. The complex crisis that hit Mali in 2012 compounded the issue, as armed groups found fertile ground for recruitment in Mali’s large pool of poor, disaffected, uneducated youths, enticed both by easy money and radical ideologies. The conflict also fueled important migration flows to North Africa and Europe. Now more than ever, the country’s youth need solutions that are specific to their daily realities and will discourage them from going astray. Achieving that objective implies helping them out of the vicious cycle of unemployment, violence and poverty. Young women and men also need to be heard and should have a role in decision-making and peace processes. To that end, the government and its partners have put into place a vast array of youth employment policies, as well as programmes to strengthen social cohesion, reintegrate displaced people and mobilise national volunteers. These initiatives have done a lot for those targeted, but they fall short of a comprehensive, national solution for reintegrating youths and increasing their prospects for a better life. In fact, unemployment rates among young women and men seem to have stagnated. In 2011, unemployment rates among 15 to 39 year-olds revolved around 15 percent, yet independent assessments suggest they could be as high as 50 percent when underemployment is taken into account. As a result, in a country struggling against terrorism, organised crime and social cleavages, more and more young peole turn to violence and radicalism. There needs to be a fundamental shift in the way that we look at youth development. Such an approach would look holistically at how to integrate young people in the economy and create new generations of entrepreneurs, while giving them a political voice and a sense of purpose within their communities and the wider nation. First, we need to boost education, skills training and employment opportunities while at the same time serving Mali’s economic diversification and transformation agenda. This would require investing in promising sectors such as information technology, and creating learning centers and peer-to-peer networks in close collaboration with the private sector. In this regard, Mali could learn from other successful initiatives, such as the public-private partnership developed in Kenya to create linkages between the formal and informal sectors of the economy. Second, young Malians need to feel their likings and aspirations are taken into account in their country’s major decisions. Youth should be encouraged to vote and have a chance at running for office in a political system that favours inclusivity, trust and peaceful change. The upcoming local elections and peace agreement implementation present an opportunity for better youth involvement and representation in the decision making process. Third, young Malians need a sense of purpose but far too often their desires, opinions and spiritual leanings aren’t seriously considered. These can include joining a community, increasing their exposure to global events and causes, or creating a more affluent life. The youth of today mix identities, from the traditional to the modern and need to be accompanied and mentored as they define their sense of self. Doing so would go a long way to eliminating intolerance, conflict and even radicalization. Young women deserve our full attention. Much more needs to be done to ensure they can exercise their basic human rights, including those that relate to the most intimate or fundamental aspects of life, such as sexual and reproductive health, and freedom from violence. There cannot be peace, poverty eradication and the creation of a more prosperous and open society in Mali without young people. A more holistic approach would be more effective and sustainable. It could include new mechanisms such as a trust fund for youths, new channels of inter-generational dialogue and a more global outlook in the exchange of knowledge and development experiences. 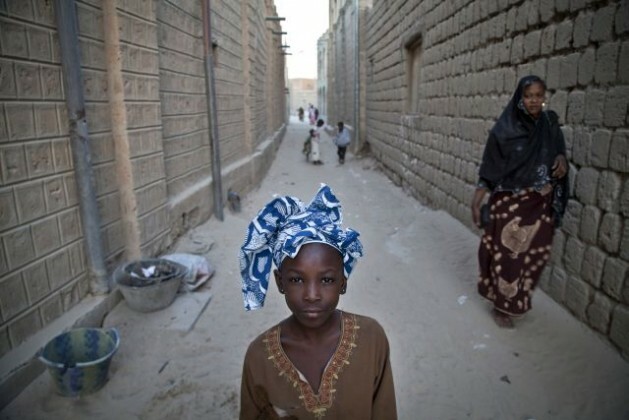 If we succeed in doing so, Mali could embark on an incredibly successful development path. UNDP is working with young people from all walks of life so they can find a decent job, contribute to their communities and build a better future for Mali as a whole.